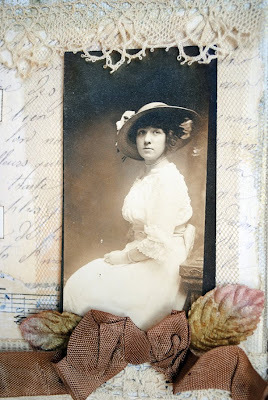 I love old photos and often wonder about the subjects in those photos. Your projects are beautiful! These are beautiful. I can tell you were inspired! What wonderful pieces. Terri, you are so talented. You inspire me. Lovely...not only the photos themselves and how you embellished them, but the lives you gave those dear ladies. 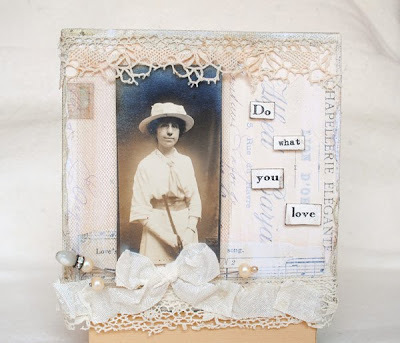 These are wonderful, inspirational pieces Terri - I really enjoyed reading your blog post. Thank you so much for your thoughtful comments on my blog today; you really touched my heart! Lydia and Mable are quite the ladies! And your stories are delightful. I can just imagine them contemplating their lives! Wonderful tales, Terri. AND, wonderful pieces of art. SO feminine and sweet. Mable's hat is to die for, by the way. And Lydia has on a lovely dress! I'm so glad you had a chance to use some of your treasures from Paris....and got to make some art. 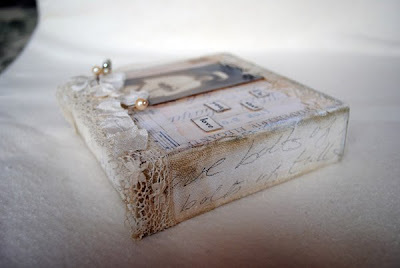 So beautiful box Terri,i love your image and your papers. 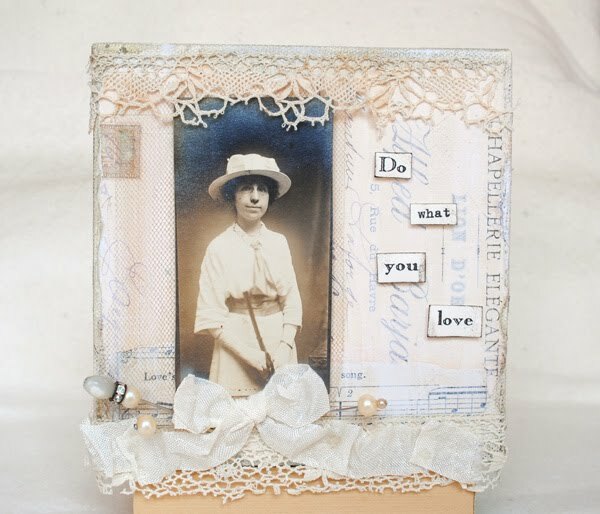 Love your mixed media girls! Hi Terri, both beautiful pieces of art. I love the stories, fabulous. Beautiful work Terri and so very touching, I often wonder about the people in old photos too and what was their story or what happened to them as life went on? I like the way you gave them a story. 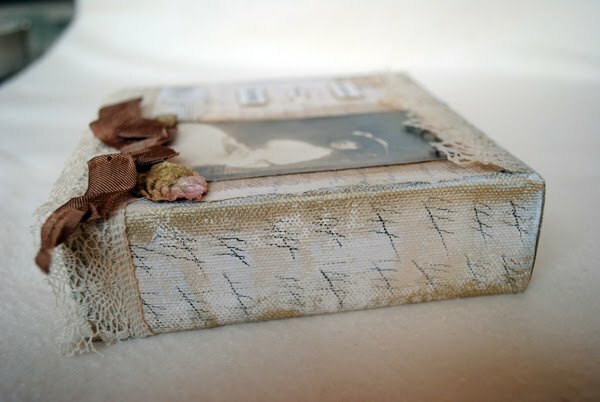 Terri, your canvases are stunning! And I just love the sweet stories of your vision of these two women. Totally gorgeous Terri.. your art and the vision..
Luv, luv, luv this project! You are such a talent, my sweet friend. I adore these on the canvas! 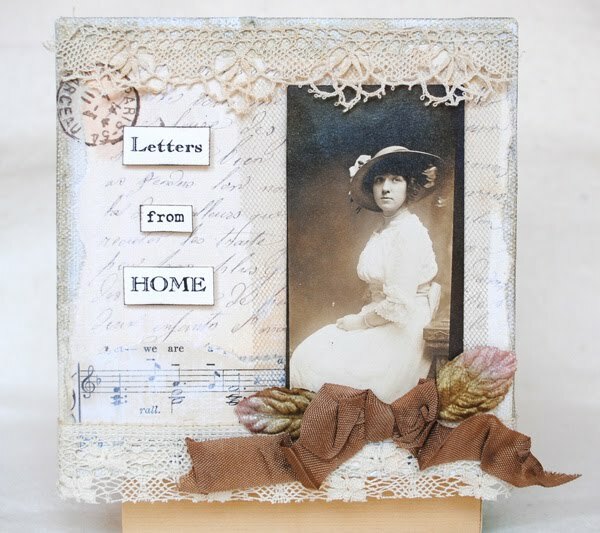 There is something wonderful about these that just feel vintage with a ageless twist. Great art dear!!! Blessings. Terri, not only do I love what you did with the photos but I love their hats! I have loved being with you in France. Your writing brought it very much alive. You have a way with words that is very much a talent and wonderful to be a part of. I thank you very much.